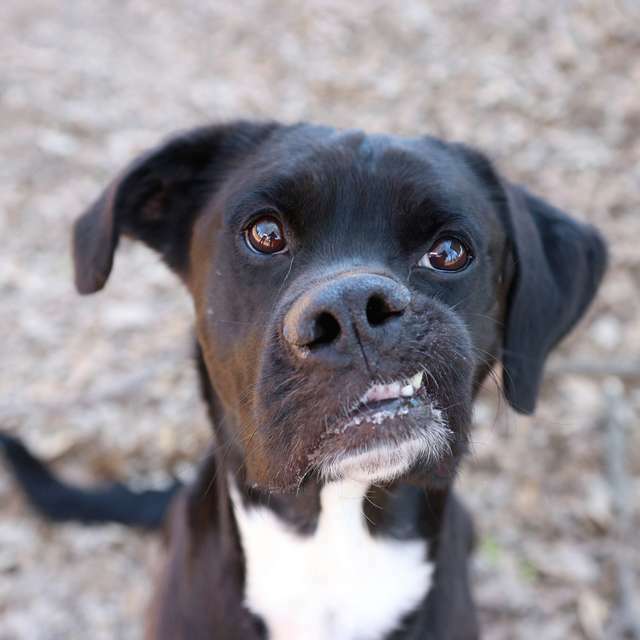 A young dog was recently abandoned at a shelter and she was very confused and quite scared, too. 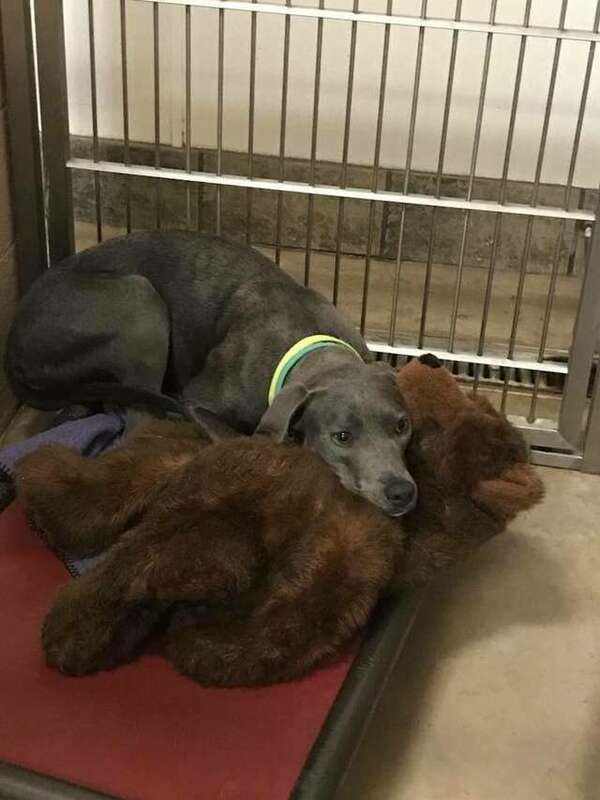 There was little to comfort her while she was there, but she did have one thing: her gigantic stuffed teddy bear. 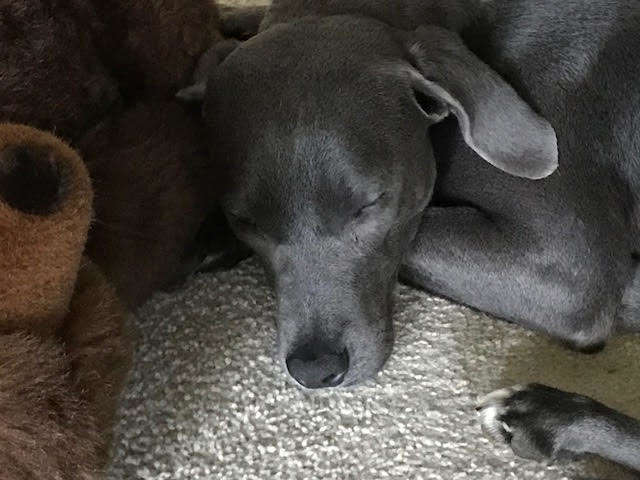 The pup, a one year old named Ellie, is a Blue Lacy dog. 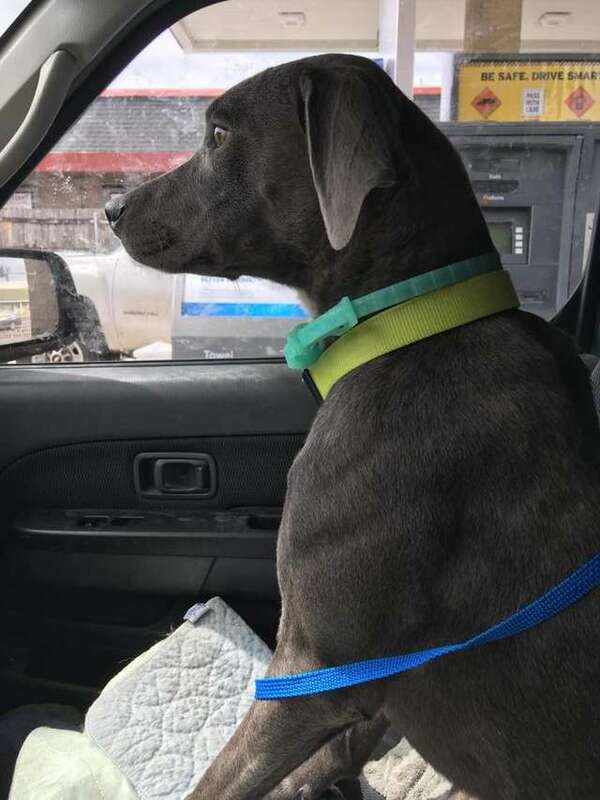 This striking breed is native to Texas and Ellie the Blue Lacy was taken to a shelter in Dallas, Texas. She found herself at the shelter in June. 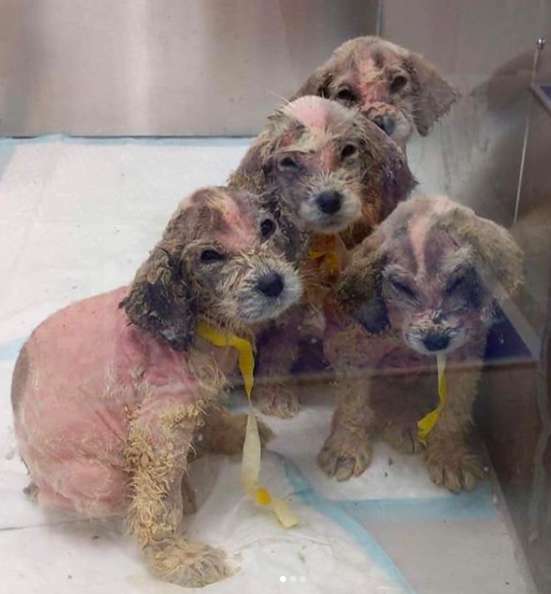 It was baffling to the shelter staff, who struggled to figure out what went wrong along the way. 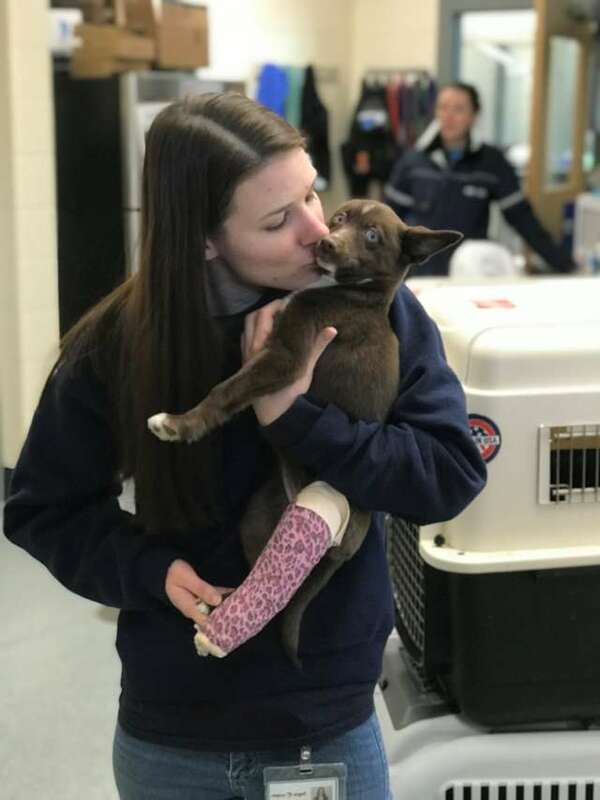 Ellie had received all of her vaccinations, she had been spayed, and had even been microchipped as well. 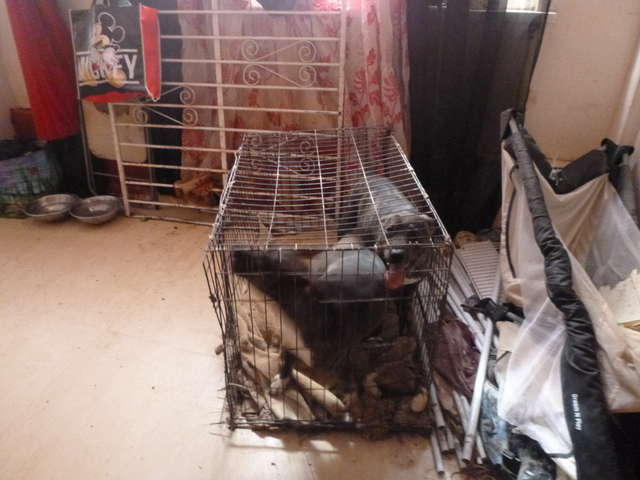 However, they decided to dump her at the shelter after she had lived with them for several months. 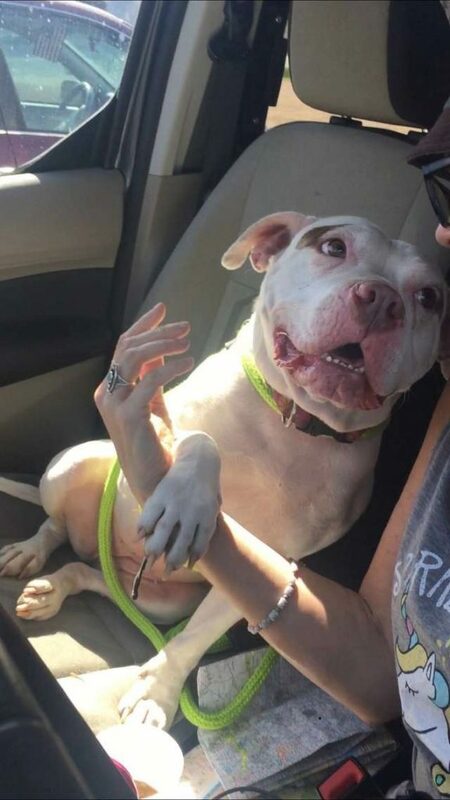 Poor Ellie was confused and very scared at the shelter because she did not understand what went wrong. 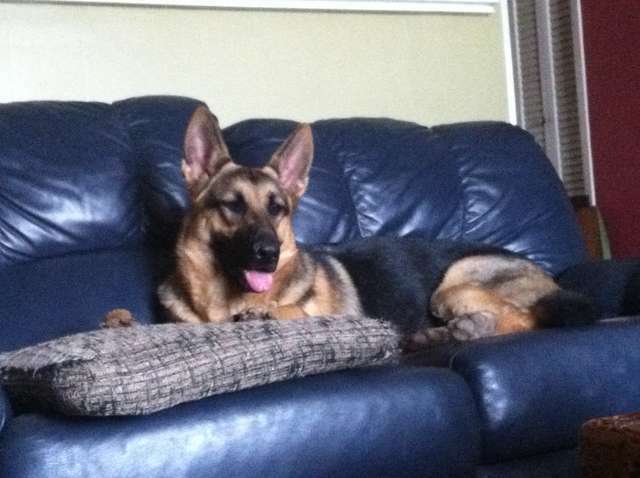 Her family did leave her one thing to make her comfortable: a large stuffed teddy bear. 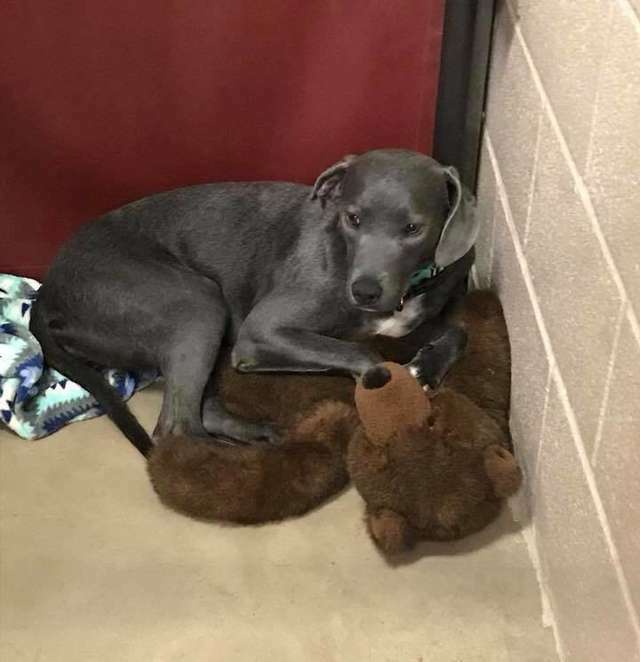 She spent nearly all her time at the shelter lying on or snuggling with the teddy bear. She actually clung to the bear, they said. However, the good news is that Ellie did not have to spend much time in the shelter. 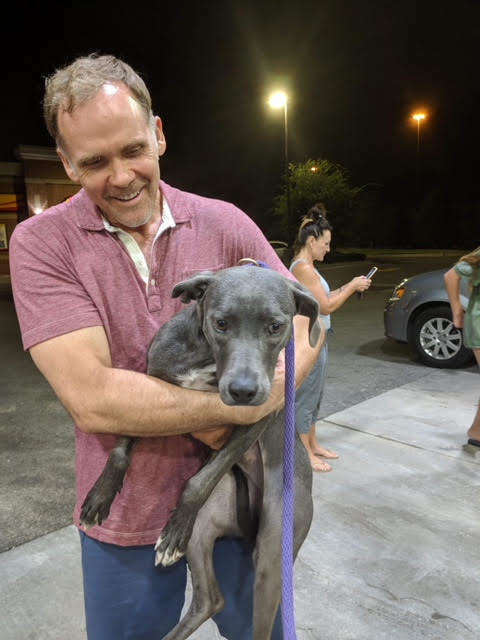 The brother of a shelter employee who lives in Florida was actually interested in adopting a Blue Lacy dog and had been searching for a rescue group. 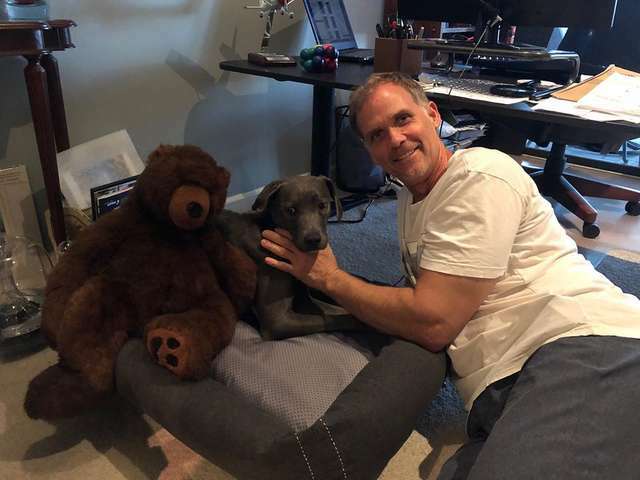 So, he came upon TAGG Rescue in Dallas, and quickly located Ellie in the shelter. 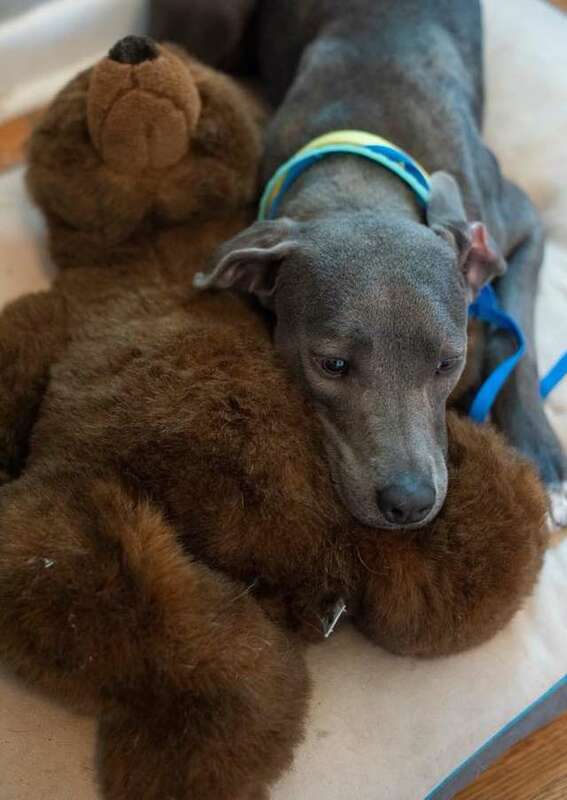 A friend in Texas picked up Ellie for him (and brought her teddy bear too!) and brought her to Florida. 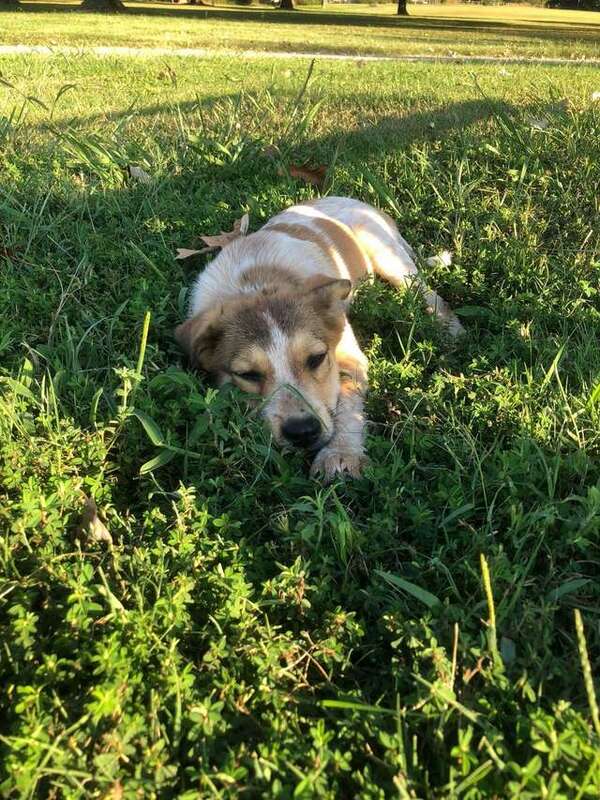 Once she found herself in a home, she was finally able to relax. She still spent a lot of time with her beloved teddy bear, however. She is slowly calming down and getting settled in her new home!